Douglas E. Delaney, Corps Commanders : Five British and Canadian Generals at War, 1939-45 (Vancouver: University of British Columbia Press, 2011). 387 pages. The last decade of Canadian military history has seen the publication of some excellent academic biographies which have pressed beyond the groundwork laid by the classic memoirs of General E.L.M. Burns and Chris Vokes, and the foremost academic survey of the subject, Jack Granatstein’s The Generals: The Canadian Army’s Senior Commanders in the Second World War (Toronto: Stoddart, 1993). 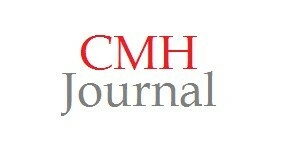 Recent monographs have scrutinized the leadership of: Bert Hoffmeister, “Harry” Crerar, Guy Simonds and Andrew McNaughton. These works have generally revised the critical view of John A. English’s The Canadian Army and the Normandy Campaign: A Study of Failure in High Command (New York: Praeger, 1991), and provide a nuanced examination of the commanders English criticized as overly bureaucratic and technical and dismally failing when it came to the operational side of warfare. 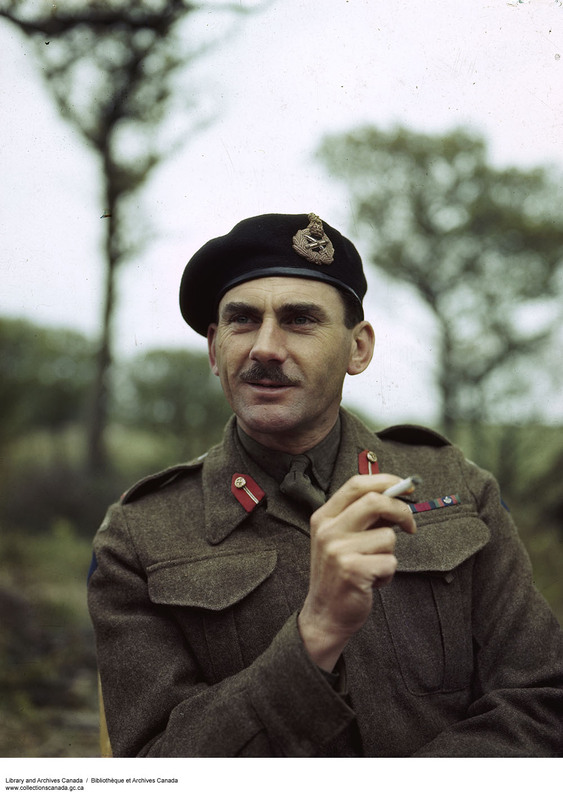 Douglas Delaney’s Corps Commanders is a welcome addition to this biographical boom industry with its academic examination of Anglo-Canadian leadership at the corps level in the Second World War. The work compares the career experiences of five generals, aiming to show how they learned to organize, train and direct formations of the British Commonwealth. By no means were all men cut from the same khaki when it came to command and leadership. Delaney’s chapter titles hints at his evaluation of the varied characters that he examines: “The Actor: Lieutenant-General Sir Brian Horrocks”; “Wit in Want of Will: Lieutenant-General E.L.M. Burns”; “The Quiet Gentleman: General Sir John Crocker”; “Wit With Will to Spare: Lieutenant-General Guy Granville Simonds”; and “The Master Bureaucrat: General Charles Foulkes.” For all of their differences in personality, it was these generals’ common traits that allowed them to exercise command at the corps level. Central to Delaney’s analysis is a shared language that these generals learned at the British Army Staff College or the Indian Army Staff College which taught “the method and the structures that could be reasonably applied in any military situation.” (p. 5) With common analytical tools, generals shared a means of discerning military problems and could communicate their solutions swiftly and clearly. An equally important theme in Delaney’s work is the need for military leaders to have the will-power, even ruthlessness, to impose their solutions in times of crisis, even if careers and lives hung in the balance. Delaney has done an incredible amount of research, mining eleven major archives in three countries along with a number of private collections. 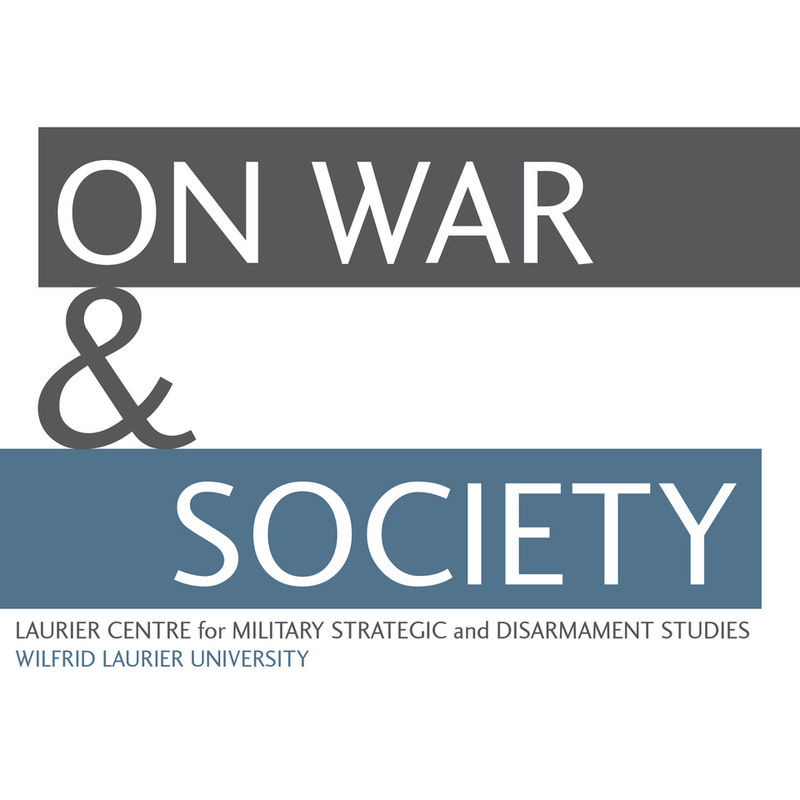 This addition to the University of British Columbia Press and Canadian War Museum’s “Studies in Canadian Military History” series is an exemplification of strong scholarly work that is breaking new ground in the field of military history. Delaney portrays the archetypical lieutenant-general as a charismatic leader with sound military skills learned in staff college. He has the will to push his soldiers when objectives demand, and the ruthlessness to sack subordinates when they fail. Some of his subjects stand up to the model. Others wilt. Lieutenant-General Sir Brian Horrocks comes closest to embodying the qualities of this ideal. Horrocks was, according to Delaney, “an absolute master of the human dimension of command [with] solid technical skills”, introduced in staff college and bettered with experience. (p. 58) Like all the generals studied he made mistakes, but he also had the good judgement to allow subordinates to take on tasks when necessary. Lieutenant-General E.L.M. Burns, despite having more than his share of intelligence, “possessed neither the charisma to inspire nor the ruthlessness to instill fear”. (p. 79) Burns’ brains and technical skill were not a firm enough foundation to guarantee his job, and his lack of charisma is sounded-out in an unfortunate simile. Delaney notes of Burns’ failure to hold troops accountable for poorly sighted machine-guns in early 1944 that, “he sounded rather like an old lady unhappy with how a picture had been hung than a general smart enough to know the right thing to do and strong-willed enough to do it.” (p. 80) Burns’ lack of grip, his failure to take firm control of his subordinates, played itself out on the ground during the Italian Campaign, both in the failure to prevent Major-General Chris Vokes from hastily attempting to bounce the Hitler Line and in the quiet acceptance of the ridiculous boundary lines for the pursuit up the Liri Valley. Without the ability to inspire subordinates and project confidence, a general would need the stomach to compel soldiers and other generals alike to obey his will. Burns lacked the stomach, if not, as Delaney suggests, the will. General Sir John Crocker is portrayed as strong-willed, competent, and uncompromisingly honest. Crocker assessed 3rd Canadian Infantry Division commander Major-General Rod Keller after Operation WINDSOR as “not standing up to the strain and showed signs of fatigue and nervousness (one might almost say fright).” Instead of waiting for the II Canadian Corps command to deal with the problem, Crocker voiced his honest opinion of his subordinate, typical of a man who always acted on his conscience. (p. 146-47) On the contrary, Lieutenant-General Guy Granville Simonds compensated for a lack of charisma with his strong technical skills and a willingness to sack subordinates and accept high casualties. Pride (both national and personal) was Simonds’ sin. 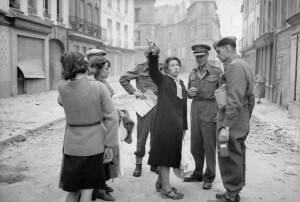 Delaney suggests that the bloody attack on Verrières Ridge during Operation ATLANTIC was committed due to a desire to prove that the small Canadian Army could produce big gains. General Charles Foulkes, whose Second World War career is analyzed in depth for the first time in Delaney’s work, is portrayed as an unpopular “master bureaucrat” whom served as a training coordinator before rising through the ranks because of his inability to “sniff out power and influence.” (p. 256) Delaney notes derisively that, “an officer such as Foulkes could have risen from major to lieutenant-general in five years only in an army starved for command talent and experience.” (p. 260) These damning words are qualified in noting Foulkes’ improvement in his promotion from command of the 2nd Canadian Infantry Division to the I Canadian Corps, but even his better record in Italy and North-West Europe is justified not by his own talents, but instead as the result of better subordinates and good timing. Beyond assessing the qualities of leadership embodied by these five individuals, Delaney offers a close examination of how corps headquarters were organized and operated. Great lenience was afforded in how battles could be planned and directed. For instance, Horrocks visited his divisions in a small commander’s reconnaissance group of three vehicles while most of the generals directed the battle from a larger tactical headquarters with staff officer representatives of each arm. Simonds planned entire operations in his caravan instead of using more conventional collaborative methods. 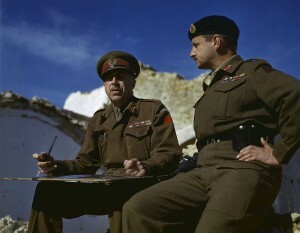 Delaney’s analysis of operations from the corps headquarters perspective includes fresh material on familiar terrain (Normandy, the Scheldt, and the Hitler and Gothic Lines), as well as battles on the periphery of Canadian military history (Alam Halfa, and the rivers Montone and Senio). A number of maps adapted from official histories aid the reader when the narrative becomes battle-heavy. General Sir Bernard L. Montgomery standing in nave of ruined church, 13 December 1943. Smiling silently in the wings is that omnipresent figure in Second World War Commonwealth history, Field Marshal Bernard Law Montgomery. Horrocks’ headquarters is shown to operate on quick verbal messages (combined with standard operating procedures) borrowed from Monty’s Eighth Army. 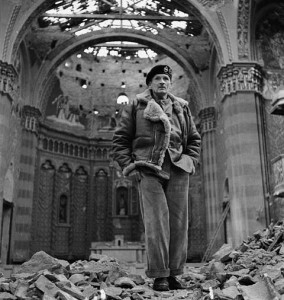 Simonds was a protégé who even aped the Field Marshal’s fashion. 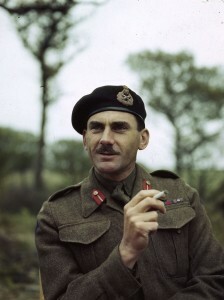 Delaney agrees with historian David French’s assessment that Montgomery was able by late 1942 to “ram ‘a single interpretation of doctrine’ down the throats” of Commonwealth commanders. (p. 298) One is left wondering if Montgomery is indeed the archetypical perfect general to whom our five subjects are compared to. Delaney concludes that the five Canadian generals studied suffered from a “lack of face time with soldiers and too much time on staff.” (p. 70) Horrocks and Crocker had gained real people skills by rising through the ranks of a large army and serving overseas. 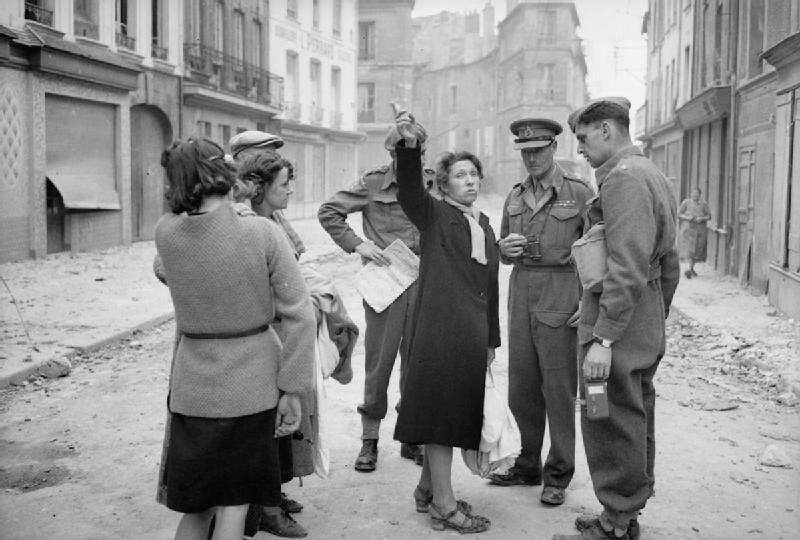 Their Canadian counterparts had had little face to face contact with troops. Agreeing with Granatstein’s earlier assessment, the Canadian Permanent Force, “was a babysitting service for the militia” (p. 304). 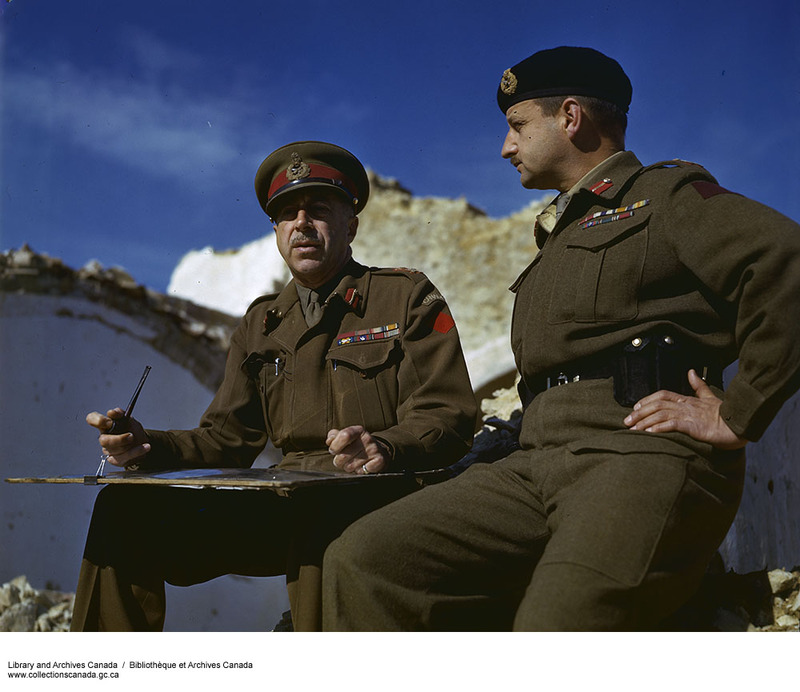 While Horrocks and Crocker were on active duty from Ireland to India as company commanders or on the job with Territorial units, the Canadians were on staff or laying out training schemes. In this manner, Delaney’s work is certainly no hagiography, yet strikes a different note than English in its nuanced criticism. Where English found a lack of operational skills, for Delaney it was the so-called ‘soft skills’ that were lacking. 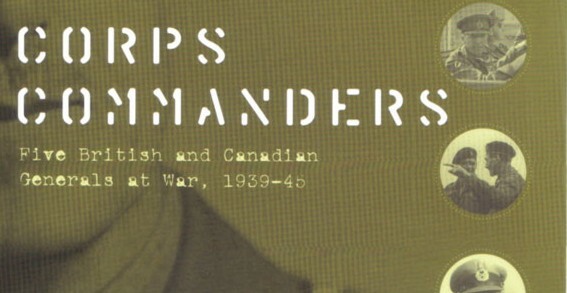 As a excellent piece of scholarship which both inspects the old terrain with new sources, and surveys new ground, Delaney’s contribution to our rapidly expanding knowledge of Canadian military biography is highly recommended.